Within the framework of Shrimp Aquaculture Dialogue (ShAD), and the Aquaculture Stewardship Council (ASC) and the related standards for responsible shrimp aquaculture that are to be experimented in Belize, members of the Shrimp Grower Association are currently carrying out a Biodiversity Inclusive Environmental Impact Assessment (B-EIA) and a participatory Social Impact Assessment (p-SIA). The Biodiversity and Environmental Impact Assessment (B-EIA) and the participatory Social Impact Assessment (p-SIA) are requirements of the Aquaculture Stewardship Council Shrimp (ASC) Standards and will be audited as part of the ASC Certification. Steps carried out at the moment include the preparation of a comprehensive B-EIA and p-SIA report with the main objective to guide shrimp farmers to minimize both the environmental and social impacts of the farm, which include impacts on the surrounding communities. This principal purpose of the site is to act as a clearing house for reports, meeting minutes and other documents that might be of interest to the stakeholder communities. 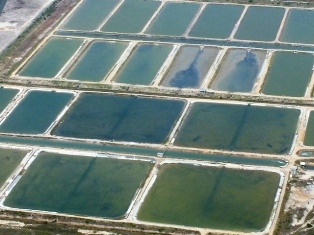 Paradise Shrimp Farm C.A. Ltd. Send mail to meerman@biological-diversity.info with questions or comments about this website.